Sara Ali Khan in Mumbai. 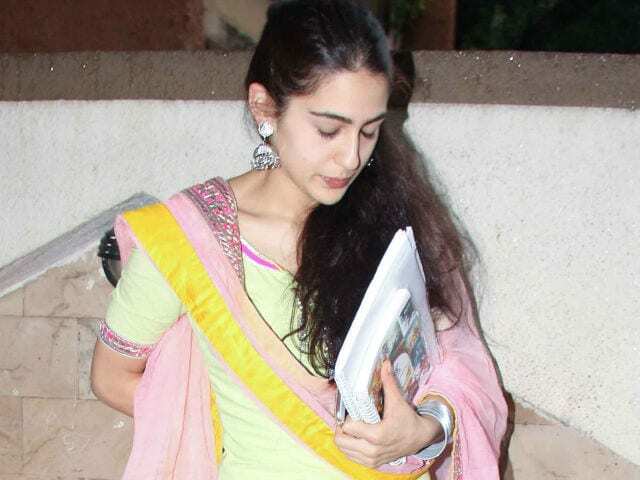 Sara Ali Khan's trip to Kedarnath director Abhishek Kapoor's office made our day. Sara, dressed in salwar kurta, looked like a mirror image of her actress mother Amrita Singh. Sara was spotted outside Abhishek's office with presumably the script of her debut film in her hand. 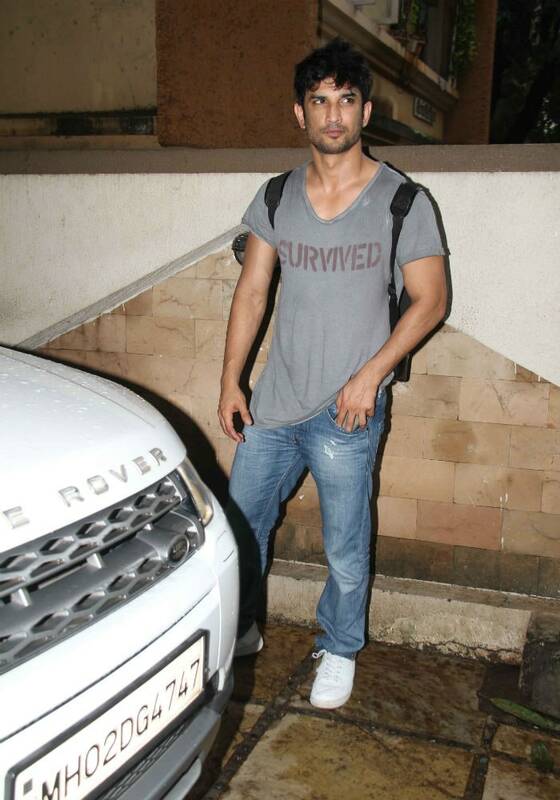 Sara's co-star Sushant Singh Rajput, who was also launched by Abhishek in 2013 film Kai Po Che!, was also there. But not Amrita Singh. It seems like producer Prerna Arora was right when she said Amrita Singh doesn't interfere in Sara's career decisions. "Sara is an independent girl. As a mother, she definitely supports Sara, she is morally supporting her," news agency PTI quoted her as saying. Recently, the motion poster of Sara and Sushant's film Kedarnath released on social media. In the film, Sushant plays the role of a pitthu, who carries pilgrims to the shrine while Sara plays a young woman accompanying a family member to Kedarnath. Sara and Sushant's characters fall in love, obviously. Sara Ali Khan's launch in Bollywood is just one of the many celeb kids' debuts cine-goers are waiting for. There's Sridevi's daughter Jhanvi Kapoor, who also one of Sara's close friends. There's a lot of conjecture around Jhanvi's debut, which is reportedly being handled by Karan Johar but nothing has been concretised. Shah Rukh Khan's daughter Suhana will complete her education before heading towards Bollywood. There's also Chunky Pandey's daughter Ananya, who will soon make her high society debut at Le Bal Des Debutantes, an international charity event for the rich and famous. Sara is actor Saif Ali Khan's daughter from his first marriage to Amrita Singh. Ibrahim Ali Khan is Sara's brother while Taimur (born to Saif and Kareena Kapoor) is her half-brother.